Ballschule is a new method of physical education with the objective of counteracting the children’s ever increasing lack of movement. Children do not become specialists in one particular kind of sport, but rather all-rounders as they are trained in many sports through the holistic development of intellectual, emotional and motor skills. 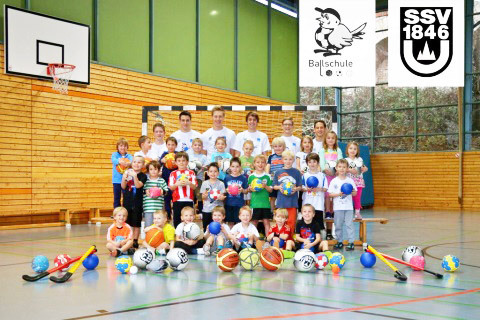 With its motto “from general to specific”, Ballschule follows the basic philosophy of the integrative sports education. The aim is growing a broad fundament of basic, generalizable competences guaranteeing a fast and effective learning in all sports games. Ballschull`s so called “non-instructed” teaching helps children to learn implicitly and to develop playing creativity as well as to achieve its overall goal of getting all children involved in physical activity.